Published: National Geographic.com, Christine Dell’Amore, March 29, 2010. A 1,700-year-old sarcophagus found in an abandoned city near Rome could contain the body of a gladiator or a Christian dignitary, say archaeologists who are preparing to examine the coffin in the lab. Found in a cement-capped pit in the ancient metropolis of Gabii, the coffin is unusual because it’s made of lead—only a few hundred such Roman burials are known. Even odder, the 800 pounds (362 kilograms) of lead fold over the corpse like a burrito, said Roman archaeologist Jeffrey Becker [co-editor with Nicola Terranato of upcoming UMP release Roman Republican Villas: Architecture, Context, and Ideology, available June 2011]. Most lead sarcophagi look like “old-fashioned cracker boxes,” molded into a rectangular shape with a lid, he said. The coffin, which has been in storage since last year, is about to be moved to the American Academy in Rome for further testing. 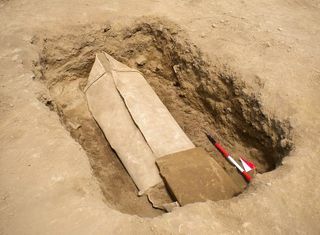 But uncovering details about the person inside the lead coffin will be tricky. For starters, the undisturbed tomb contained no grave goods, offering few clues about the owner. What’s more, x-ray and CT scans—the preferred methods of coffin analysis—cannot penetrate the thick lead, leaving researchers pondering other, potentially dangerous ways to examine the remains inside. “It’s exciting as well as frustrating, because there are no known matches in the record,” said Becker, managing director of the University of Michigan’s Gabii Project. Unlocking the lead coffin’s secrets could ultimately offer new insights into a powerful civilization that has lain forgotten for centuries, he said. The newfound sarcophagus was the “most surprising” discovery made in 2009 during the largest ever archaeological dig in Gabii. 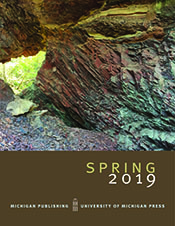 Becker and colleague Nicola Terrenato received funding for the ongoing project from the National Geographic Society’s Committee for Research and Exploration. Just 11 miles (18 kilometers) from Rome, Gabii was founded in the tenth century B.C., and it flourished for centuries alongside its growing neighbor, with which it shared a unique treaty of political friendship. Walking through Gabii may have been a bit like a stroll through Rome, where the dense populace made the city crowded, noisy, and smoky in the daytime, and overall “unpleasant” to live in, Becker said. However, by the second or third centuries A.D., Gabii had contracted dramatically, and by the ninth century it was no more. The cause of the city’s demise is unclear, but the “most obvious guess is that Rome’s expanding power and territorial ambitions eventually eclipsed” Gabii, Becker said. Mysteries about Gabii society make the newfound lead coffin especially intriguing. Lead was a high-value metal at the time, so a full sarcophagus made out of the stuff “is a sure marker of somebody of some kind of substance,” Becker said. Past lead burials found throughout Europe have housed soldiers, elite members of the Christian church, and even female gladiators. In fact, many lead coffins contain high-ranking women or adolescents instead of men, said Jenny Hall, a senior curator of Roman archaeology at the Museum of London, who was not involved in the new study. However, the newfound sarcophagus’ tentative age may make the gladiator scenario unlikely, said Bruce Hitchner, a visiting professor in classical archaeology at All Souls College at the U.K.’s University of Oxford. The coffin dates back to the fourth or fifth centuries A.D., while the gladiator heyday was centuries earlier, said Hitchner, who was not part of the excavation team. What intrigues team leader Becker the most is the sarcophagus’s placement—”smack dab” in the middle of a city block. A taboo against burying the dead inside city limits was deeply ingrained in the Roman religious mindset of the time, he said. “I don’t think it’s, We’re feeling lazy today, we’re going to bury Uncle Joe in the tomato garden,” Becker said. There may have been some major event that made people bury the body downtown—a possibility he intends to investigate during the next dig. Bones alone can tell scientists a lot about the person and his or her culture, said Bruno Frohlich, a forensic anthropologist at the National Museum of Natural History in Washington, D.C.
For instance, if the bones show evidence of diseases contracted long before death, that could mean the person survived an illness, and that Gabii society had the resources and knowledge to care for the sick, Frohlich said. Lead Coffin too Dangerous to Open? But Becker and his colleagues may not even get bones to work with, because the coffin may be too dangerous to open for both the living and the dead. If the researchers decide to cut into the lead, cancer-causing lead dust could harm scientists, while exposure to bacteria could easily damage the corpse. At the academy, a team will perform preliminary experiments on the sarcophagus, including an endoscopic exam that would feed a small fiber optic camera into the hole at the foot end. If the experiments show that lead dust from cutting can be easily contained, the next step would be to find a “clean room”—similar to those NASA uses for experiments—in which to open the coffin, Becker said. No matter who turns out to be inside the lead coffin, Becker is hopeful that the person wrapped in metal will turn out to be a window into history.